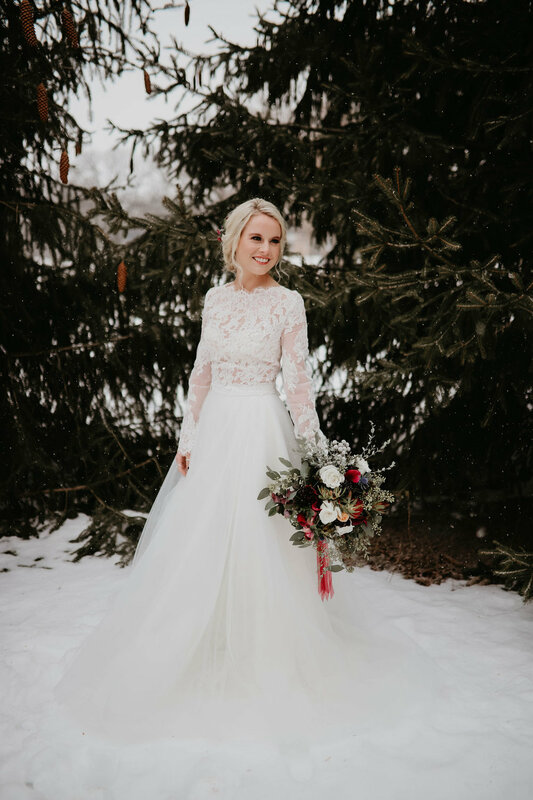 Even though the winter is still extremely present , at least in Sweden, we try to leave the winter behind us on the blog at least and instead focus on the spring and summer to inspire all of you who are planning your wedding in warmer degrees. 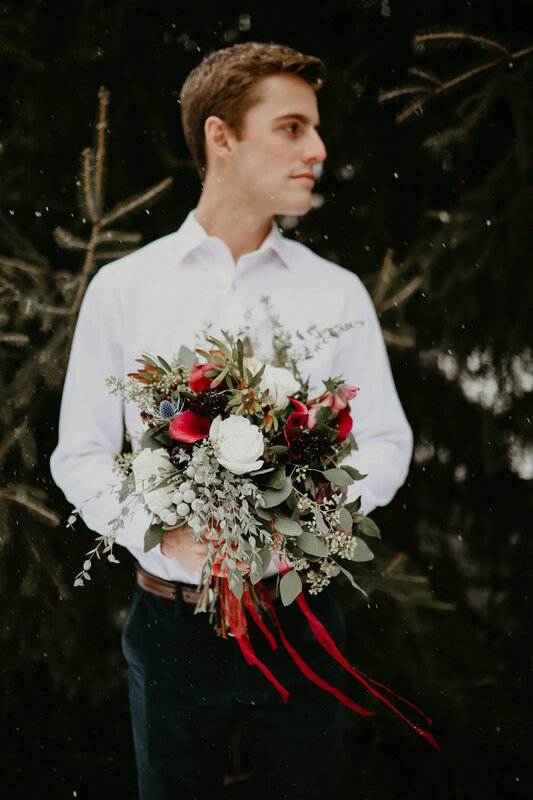 But sometimes we can't help but let beautiful winter inspiration take place anyway, so here’s a series of wonderful photographs in winter scenery from the wedding photographer Megan Swederski Photography. 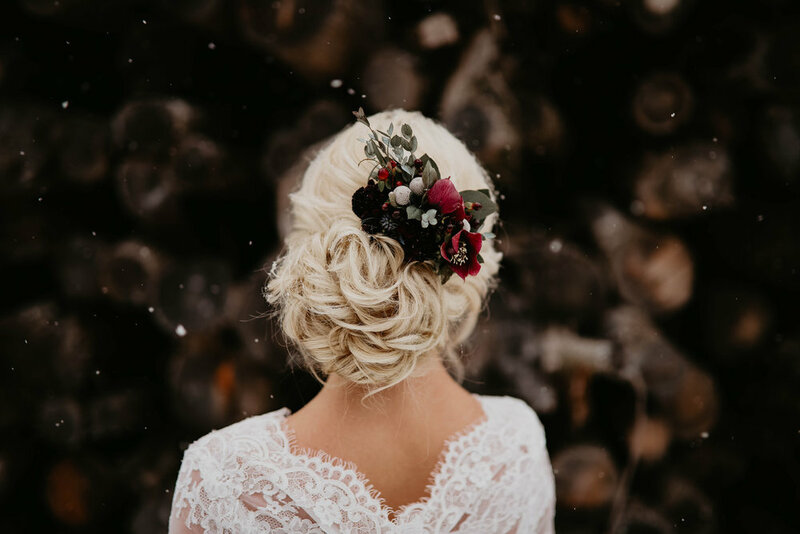 Although the surroundings are covered with snow, the clothing and bouquet is something that inspires whatever the season. A large fluffy tulle skirt and a long-sleeved lace top is always a stylish choice! Are you looking for a white tulle skirt of skirt in another color? 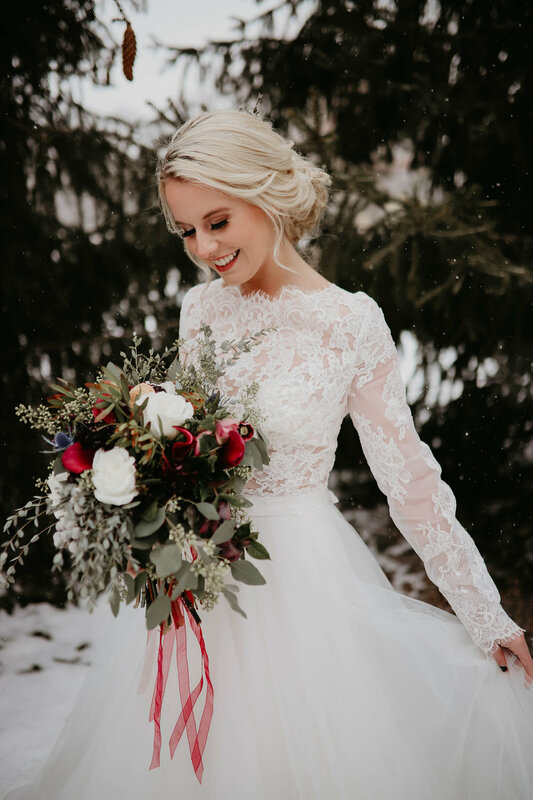 Take a look at Sisters in Laws own brand Ellen Marie Bridal.